Wedding | How We Saved Money on Our Wedding! 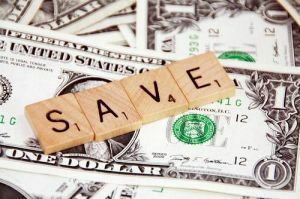 As I shared on Facebook a few months ago, I plan to share some of our money saving wedding planning ideas here on the blog. Most of our wedding plans are complete and one item we recently finished planning was our honeymoon. Can you believe our week long honeymoon cost us a total of $250? 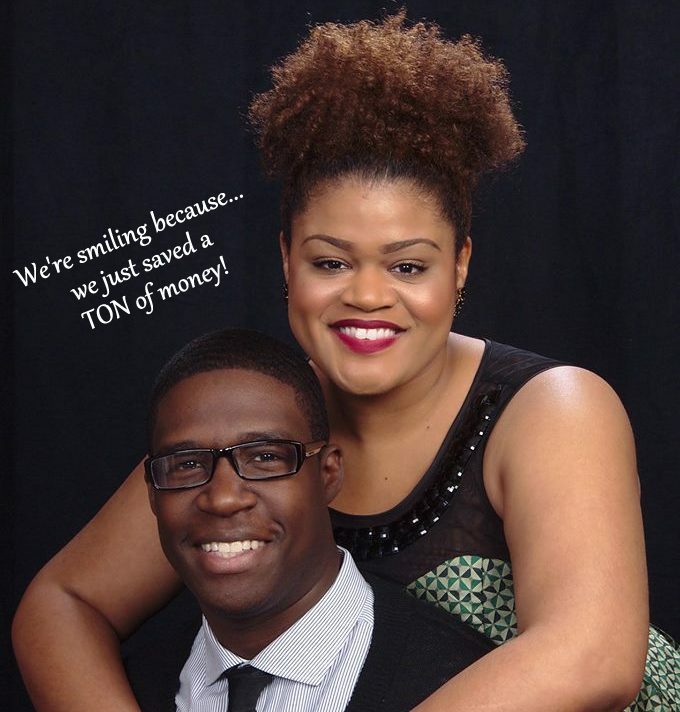 I am going to share how we were able to plan a honeymoon for a low cost as well as other ways we have chipped away cost. One of the easiest and cheapest ways to save money for your wedding day is by entering contests and giveaways. There are a ton of wedding related contests and giveaways available online and at bridal shows. About once a week since my engagement, I have googled current wedding giveaways to enter. Since our engagement, I have won two giveaways. Round Trip Plane Tickets - I won two round trip plan tickets while attending Blogalicious back in October. This video chosen by ORS Hair Care won the contest! Toss Bouquet - I participated in a Twitter chat held by Natural Hair Bride and won a toss bouquet from Blinged Bouquet. If you're like me, you may already be a huge fan of Groupon. Groupon is an awesome website that allows you to purchase anything from dinner for two to actual products at a low cost. The gist of the website is paying the low price up front and redeeming your coupon later. My fiance and I have used this website on plenty of occasions so it was a no brainer that we would try to look at their Getaways section for low priced vacations. We ended up finding an amazing deal! Palms Place Hotel (Las Vegas) - We found a five day, four nights special at the Palms Place Hotel for only $50 a night. Yes, $50 a night! We altogether paid $225 for our honeymoon hotel. Manicure & Pedicure - I found a local spa with great ratings selling a manicure and pedicure package for $19. I purchased it and scheduled it for the week of my wedding. Online shopping has saved us a great deal on our wedding planning. From purchasing wedding invitations online to my wedding dress, it has saved us hundreds! See more of my wedding posts here, here and here. Do you have any wedding savings tips to share? What was the best deal you got during wedding planning? Very good information for when that day comes for me:) thanks! When planning our wedding in 2011, we choose to get married on a Sunday, saving us over $300 alone on the venue. We also did without certain typical wedding things and in the end, are wedding cost a little less then $4,200. Wow!! Those savings are A-M-A-Z-I-N-G!! That's awesome! These are great ideas! I'm in the process of starting to plan a wedding. Groupon Getaways always make me want to speed things up. Great idea! I may have to tuck these away for the end of year since that "M" word is starting to pop up in more and more of my convos. Thanks! Beautiful pic! You got this girl! Things don't have to cost that much. Love the Pic!!! Great Tips!!! It will come! :-) Thanks for stopping by! Also, don't forget that Groupon is great even if you're just looking for a vacation or treat for yourself. That's an AWESOME tip! If we didn't have so many out of town guests, that definitely would have been a route I considered. Thanks for sharing that with us! Thanks Shonda! You and I must totally be on the same page because I had fake flowers in mind as well as the chocolate bars! Instead of the chocolate bars, we opted to give slices of our wedding cake to each guest with a note on it. I had never heard of it but it's definitely an affordable option. Thanks for stopping by! Yeah, I love reading money saving tips! Congrats on winning the giveaways, I'm sure the plane tickets helped reduce a big chunk of your honeymoon costs! I think I'd be so nervous about buying a wedding dress online. I'd love to read more about that process! Wow, you won plane tickets?? That would be an awesome money saver!! Lol! Believe it or not, yes. That's exactly how my reaction was. :-) Thanks for stopping by Rachel! Thanks Marquita! I'm still shocked myself! Thanks Bailey! It could be that there are more now. It seems like so many people have created businesses around weddings. It's crazy! I appreciate you stopping by!